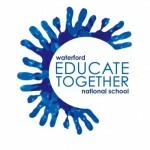 Events | Waterford Educate Together N.S. The 2014 Heritage Day at Waterford Educate Together was super! Thanks to all the Parents and Grandparents who made it! A huge thanks also to Michael who conducted walking tours of our school.